How to Install a Custom ROM using TWRP Recovery : There are various Custom Rom available for Customizing your Android in the likes of Resurrection Remix, Lineage Os, AOSP, Cosmic OS and many more. If are looking a way to install custom rom, you’re at right place! 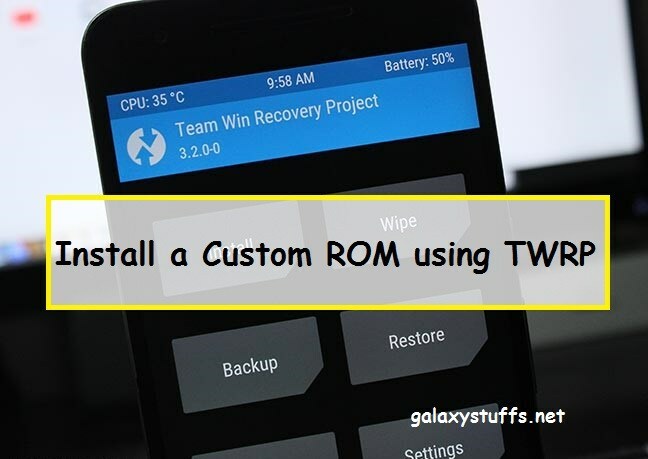 Because here we provide full guide to install custom rom by using TWRP Recovery. What is a Custom ROM ? One of the best things about the openness of the Android platform is that if you’re unhappy with the stock OS, you can install one of many modified versions of Android (called ROMs) on your device. A new ROM can bring you the latest version of Android before your manufacturer does, or it can replace your manufacturer-modded version of Android with a clean, stock version. Or, it can take your existing version and just beef it up with awesome new features—it’s up to you. HTC/Nexus devices: Press and hold Volume Down+Power buttons then select recovery). If you have another device,try googling on how to enter recovery mode. Select the “Wipe” option from the TWRP main menu and enable a “Swipe to Factory Reset” on the bottom of the screen. Note : If you are installing an AOSP ROM like LineageOs, Resurrection Remix, repeat this step to flash Gapps zip file and choose GAPPS zip. Otherwise go to next step.